It’s been a while since we were on Pearl. She’s been on the hard in Marathon for coming up on two of years now, and we were contemplating going back to her this winter. 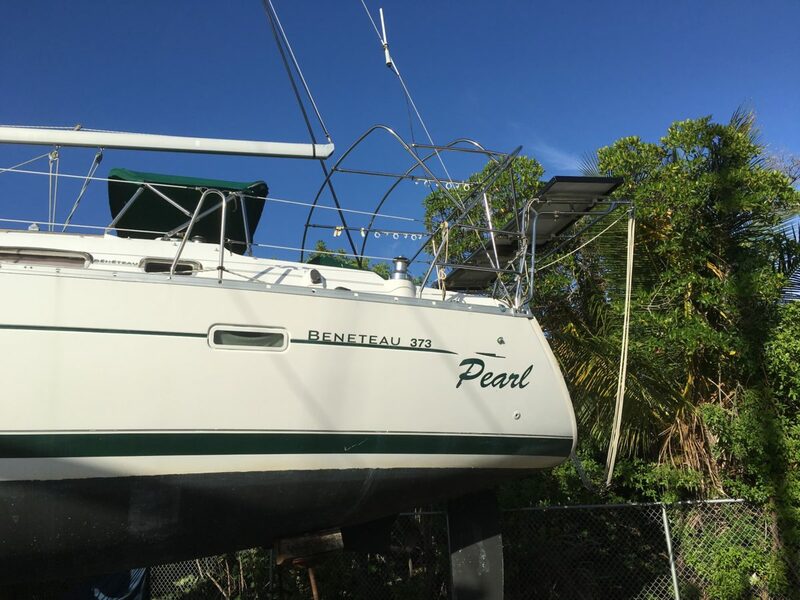 Hurricane Irma makes me question whether Pearl will ever sail again. It looks like Marathon (her current location) is directly in Irma’s path. Pearl’s out of the water. 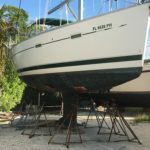 She’s was mostly stripped down by us for bad weather when we left her. 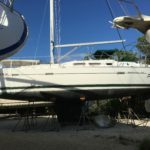 She was checked and further prepped by the boat yard she’s in yesterday: the lines, soar panels, and bimini are now off. 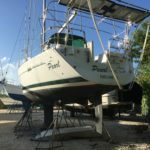 With a bit of luck, she’ll ride out Hurricane Irma with aplomb — the same way she’s handled everything else. 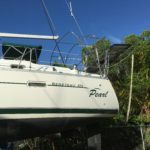 While we’ll be okay, we’ve made friends over the years who sold everything and became live aboard sailors. These boats are not just for fun. They are homes. They are dreams. Wish them well. 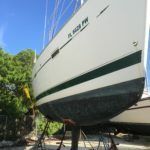 If you’ve sailed on Pearl or thought about sailing on her, here are recent pictures of Pearl awaiting our return.